You might feel as if you have already been judged or you may be worried about your chance at a fair trial. By retaining a qualified and experienced attorney you can rest assured that your interests will be looked after. There may be a perfectly good explanation as to why you were caught with drugs, such as the drugs were not yours. And it is possible that you made a mistake, have a substance abuse problem, or have simply been going through a difficult time in your life. Whatever the case, we are here to help. We want to hear about your case from you. Ohio/Federal Drug Classifications (Schedules) The Federal government classifies drugs by “schedule”. This classification system is used to determine the seriousness of your offense and the potential sentence you may be facing. Ohio adopted these schedules and made slight adjustments under state law. Schedule I drugs include those that are the most dangerous and have a high risk of addiction or dependency and no legitimate medical use. Drugs included under this heading include LSD, marijuana, heroin, GHB, and ecstasy. Each controlled substance is categorized under Ohio law as having a “bulk amount”. Each drug has a different bulk amount that dictates the charge and potential sentence that goes with each violation. For instance, the bulk amount of cocaine is different than the bulk amount of a Schedule II opiate derivative which is different than the bulk amount of Schedule III opiate derivative. Because of all of the complex categories, it is nearly impossible to present a simple summary or chart showing you what type of sentence you may be facing but below is a table showing what quantity rises to what level depending on the substance. Note: For any offense that is committed in the presence of a juvenile or within 1000 feet of a school the felony level of the drug will rise one level, and additional sanctions may apply. Example: You are charged with selling 100 grams of marijuana across from a school. You are not charged with the felony 5 trafficking, rather you are now charged with a felony 4 trafficking. 100 grams or more is a felony 1 with a mandatory ten year prison term plus another one to ten years (this is a MDO or “major drug offense”. 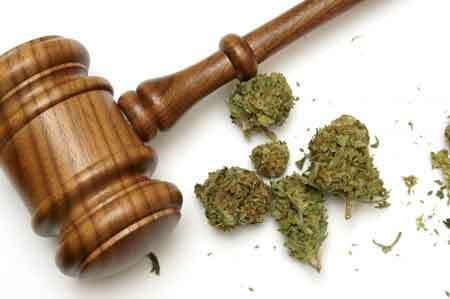 Ohio Drug Possession Defense Strategies Drug possession charges can be challenged and beaten in court with a variety of legal strategies, including motions to suppress on grounds of illegal search, and a host of other options depending on the facts of your particular case. We can also argue for reduction of charges, and work out deals for minimal penalties for lesser amounts of drugs. If you have a relatively clean criminal history you may be eligible to serve your sentence while on probation or even get pre-trial diversion for your offense. This means that Ohio can be lenient on first offense controlled substance charges. We can argue that as a minor drug offender, it makes sense to get treatment and rehabilitation instead of sentences of jail. Many courts are agreeable to that argument in less serious cases. We can talk about the options available to you in a free consultation. Call today to let us know about the charges you are facing. Once we know the circumstances and specifics regarding your drug charges, we can give you a very good indication of what we can do to beat the case, and the type of sentence you may be facing or if you may be eligible for any alternatives to incarceration. Don’t give up hope, there are always options. Call us today to let us help you find the best possible outcome to your case. Rutan Law 614-307-4343. Call or text anytime.